On November 6th, 2012, California residents will have the opportunity to vote on groundbreaking legislation that would force all genetically modified foods (GM) to carrying labeling signifying them as such, if passed. This type of regulation would be the first of its kind in the United States and has the potential to set a major precedent that other states are likely to follow. As it stands now, it is difficult– if not impossible– to identify genetically modified foods with current labeling requirements. Those wishing to avoid GM products must buy organic foods or there is always a chance that the product could contain GM ingredients. By forcing companies or farms who grow or use GM foods to label them as such, it will bring a new level of transparency to the food industry and help consumers to make educated decisions about what they wish to put in their bodies. What Exactly Are GM Foods and Why Should We Care? Just like humans, the foods we eat have their own genetic code. Scientists have discovered that by altering specific sequences of DNA in plants, they can force them to exhibit properties that are considered desirable by some farmers and industries. For instance, plants can be made resistant to certain pesticides and herbicides so that when they are sprayed in large quantities to combat pests, the plants do not suffer ill effects. While this is beneficial for crop yields, it presents many health problems for people consuming GM crops. When the new DNA sequences are injected into the plants it is not by any means an accurate science and many other unintended changes also occur, which can cause the plant to exhibit undesirable effects such as increased toxicity even to the point of causing tumors and caner in mice! No one really knows exactly how and to what extent the plants are altered during genetic splicing and what effects this may have in the long term. Short term tests that have been conducted on animals are alarming to say the least, with findings implicating GM foods in a number of serious diseases. – GM crops are typically sprayed with significantly higher levels of toxic pesticides, herbicides and fungicides in part because it does not affect the plants as severely as their non-GM counterparts and also due to the fact that pests become resistant to the sprays and therefore more is required to kill them with each subsequent application. – GM seeds are patented and cannot be saved and replanted the following season. In fact, many GM crops don’t even produce seeds and every time a farmer wants to plant a new plot, they must buy more seeds from suppliers such as Monsanto. If farmers are caught saving seeds, they face serious lawsuits and harassment by companies enforcing their patents. However, there is an even bigger problem than farmers caught infringing on seed saving rules: cross-contamination of non-GM crops with pollen from GM crops. Whenever the wind blows, pollen from GM crops is spread indiscriminately into surrounding fields and farms. Those farmers who do not wish to grow GM crops but who have land adjacent to farmers who do are at major risk for GM crop contamination. Not only does this happen frequently, but companies like Monsanto then harass the farmers whose fields have been contaminated and destroyed by GM crops from adjacent farms for patent infringement and other ridiculous claims. – GM crops typically can only be cultivated on large factory farms where growing conditions can be closely controlled by the excessive use of sprays and petrochemicals. The energy input needed to generate one unit of GM food is significantly higher than the equivalent organic or non-GM foodstuff. After learning about these qualities, most people choose to avoid GM foods. It can, however, be very difficult to do so without obvious labeling, which highlights the importance of CA Prop. 37. Be Green Packaging, along with a growing list of innovative companies, has taken the initiative to have its products verified by the Non-GMO Project, an organization who certifies products which are found to be free of all GM contaminants. 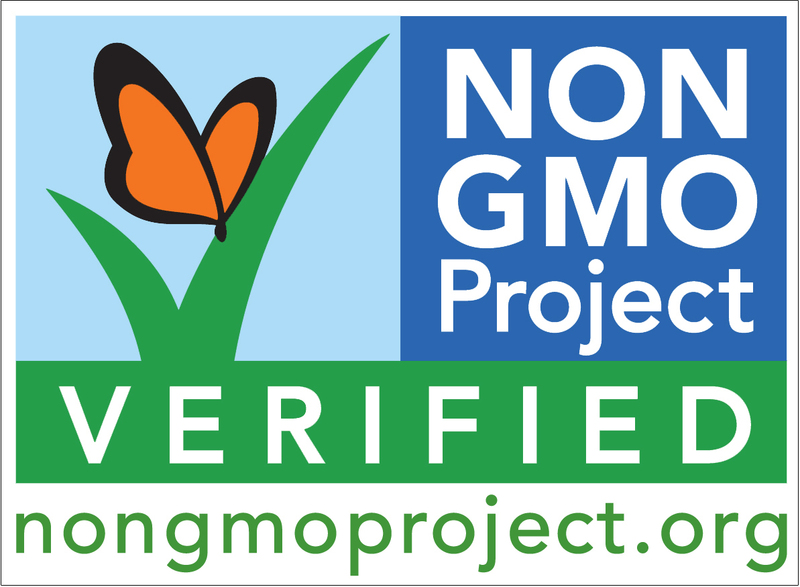 In the absence of definitive legislation, the Non-GMO Project is the most respected organization that works with companies looking to certify that their products do not contain GM ingredients. On November 6th, remember to vote YES on Prop. 37 in support of labeling GM foods in California! On Wednesday, August 8th, 2012, KEYT news reporter Sarah Bush stopped by Be Green Packaging Headquarters to find out what Santa Barbara’s sustainable packaging pioneers were up to five years after the company’s launch. Co-founders Ron Blitzer and Robert Richman talk about their reasons for starting the business and some of the company’s impressive recent accomplishments. Sarah also got a sneak peak of new packaging the company has been working on as well as their collaborations with some of the worlds largest companies. Styrofoam containers have reached near iconic status as symbols of rampant pollution. They take hundreds of years to biodegrade, contain suspected carcinogens, and are not accepted in the vast majority of recycling programs nationwide. In response to these and other concerns, the California Senate has voted to approve a recent bill authored by Sen. Alan Lowenthal (D-Long Beach) that would ban the use of styrofoam food packaging in the state. The bill targets restaurants and food vendors who use styrofoam for takeout and beverage containers. Styrofoam is the trade name for polystyrene, a petroleum-based plastic that is widely used in food and product packaging. Due to its light weight, excellent insulation properties, and comparatively low cost to other forms of packaging, it has gained wide use across numerous industries. However, with the recent shift in consumer consciousness towards a greater awareness of the environmental impacts of styrofoam, the material is beginning to encounter serious opposition by both citizens and politicians alike. According to the California Department of Transportation, styrofoam containers account for approximately 15% of litter found in storm drains. The Southern California Coastal Water Quality Research Project found that polystyrene packaging is the second most common type of refuse found on state beaches. California’s proximity to the Pacific Ocean makes it a significant contributor to the Great Pacific Trash Gyre, of which styrofoam is a major component. Recent autopsies on various marine animals living along the California coast found that many of them often mistake styrofoam packaging for food and that the consumption of these containers can and often does result in death. “I introduced this bill not just to solve an environmental problem that plagues our state but also because it’s a job booster for California,” said Sen. Lowenthal. He went on to state that many California companies are currently designing and manufacturing alternatives to styrofoam packaging from compostable plant-fibers, paper, and other recyclable materials. Opponents of the bill claim that jobs related to styrofoam manufacturing and distribution will be greatly impacted if the legislation passes the Assembly in August of this year. The bill (SB 568) is scheduled to go into effect on January 1st, 2014. The nonprofit organization Clean Water Action has organized a coalition of businesses in California who support the banning of Styrofoam in the state. To find out more information about the coalition and how you can become part of the effort, visit the Clean Water Action page on SB 568 here and here. California residents are encouraged to contact their state Assembly representative to voice their opinions on the upcoming vote. More information can be found on the California State Assembly website.